One of the most stressful activities that a person can participate in is traveling. However, this stress is often magnified in individuals who have chronic back pain. It does not matter if you are traveling by land, air or sea; long distance traveling is synonymous with sitting for long periods of time. 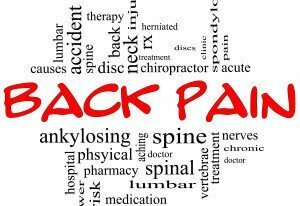 This can mean more pain for those who have any type of back related health issues. Fortunately, there are several things that travelers can do to help reduce any negative impacts that are felt during or after traveling. These tips can help you enjoy arriving to your destination instead of dreading it. One thing that is common with people who suffer with chronic back pain is the lack of mobility. However, when muscles and joints are inactive, they become stiff. The body needs to be in motion so that muscles and joints receive much needed blood. If you are driving to your destination, be sure to stop frequently and take breaks. Walk around to loosen stiff joints and muscles. Those who are traveling by bus or train can also take advantage of stops along the route. Stretch your arms, legs, back and other areas that may feel stiff or where there is slight discomfort. Although you may feel strange, you can also stretch while you are flying in a plane. Ask the personnel if it is okay for you to walk up and down the aisle a few times, or ask your seat mate if you quickly stretch. Make sure your stretches are non-invasive, but effective. Everyone should practice good posture, but good posture is critical for those who have back issues such as sciatica. Cushions around the lumbar area can provide support, but many patients with sciatica get the most relief from reclining during long travel. You do not have to dread upcoming travel because of chronic back pain. Become educated in different ways to manage your pain without dangerous surgery or harmful medication. Pay attention to your body and respond in ways that will allow you to stay comfortable while traveling. Education is key in not only learning what is causing your pain, but also how it can be alleviated and possibly eliminated. Dr. Renee White believes in educating patients on natural ways to heal the body without dangerous medications. If you are in the Alpharetta area, schedule an appointment today.